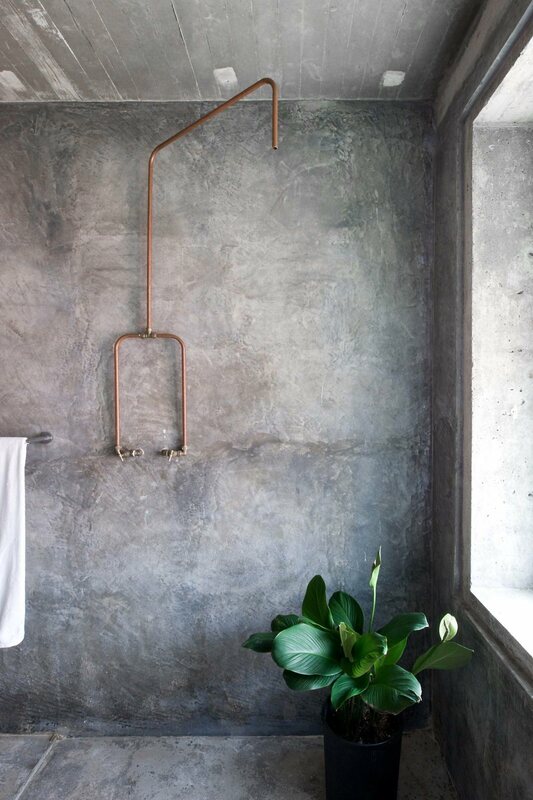 Rustic concrete bathroom with exposed copper pipe shower. 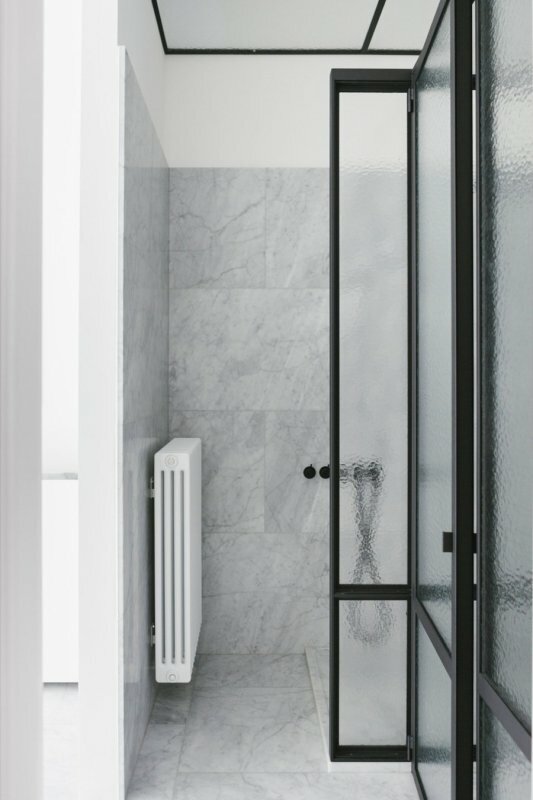 In the home of architect couple Wen Hsia and BC Ang based in Kuala Lumpur, Malaysia. Photographed by Marjon Hoogervorst.